This post is the first in a series of technology and innovation blogs introducing the 12 teams participating in the 2018 Wood Stove Design Challenge in November. Alistair Gauld with the VcV stove. Variable Choke Venturi (VcV) technology has come a long way from New Zealand, where it was invented over a decade ago. 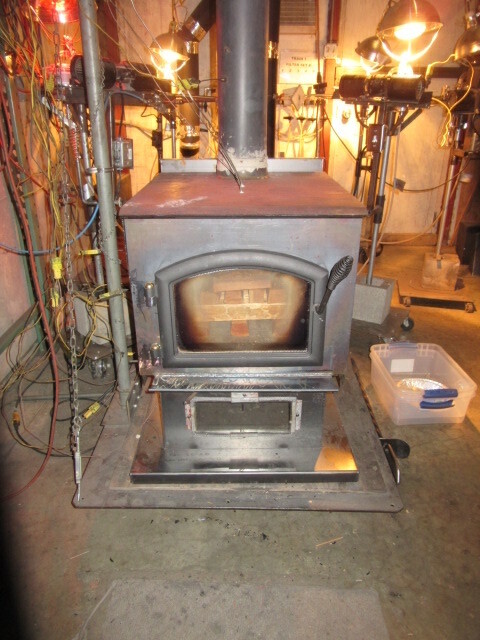 It is a clever, simple device to improve combustion in wood stoves that is reliable and does not require electricity. Brian Gauld, an accountant in New Zealand, met the VcV inventor and bought the rights to it, convinced that it held the secret to cleaning up manually operated wood stoves. The VcV is a valve controlled by the draft generated by the stove when burning, but making it work effectively on a wood stove and then getting that stove certified was a much longer journey than Brian initially expected. There is a huge need for an automated, “idiot proof” stove in New Zealand, but the market is not big enough to justify the costs so Brian set his sights on the North American market. In 2008, he hired Ben Myren to help integrate the VcV valve into a stove. So began one of the most innovative and promising new stove technologies on the US market. Simply put, the valves increase or decrease the amount of combustion air entering the stove in response to static pressure changes at any given time, depending on how much combustion air the stove needs. Ben and Brian realized that by combining two VcV valves—one for primary air and one for secondary air—the VcVs could reduce particulate matter (PM) emissions even more, hoping that would be the key to reliably meeting the EPA’s 2020 standards. Brian and Ben were well on their way to building an automated stove without electricity, whereas other automated stove designers were trying to do the same thing with sensors, electronics and computer chips. The marketplace for wood stoves has a lot of folks who dislike the thought of a wood stove that needs electricity to operate. The simplicity of the Flamekeepers’ technology could go a long way to ensuring that the stove would not just operate well in the lab, but also in the hands of the average consumer. And that has been the great challenge of the wood stove since it was invented years ago. From the moment the consumer lights the stove, they can shut the door, sit back, and enjoy the heat until it needs to be reloaded, according to Ben Myren. At the time of ignition, the second VcV is engaged, as explained in an illustrative informational video on the model. 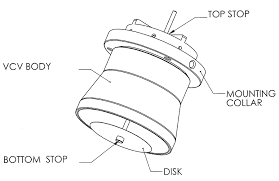 The Secondary VcV (S VcV), a disc attached to the secondary air inlet, rises and falls relative to static pressure, which increases and decreases with the amount of combustion taking place in the firebox. The S VcV functions all the time and supplies just enough secondary air during a burn to maximize combustion efficiency. Once the static pressure decreases at the end of the burn and more oxygen is needed to increase combustion, the P VcV disc goes down again. While most automated stoves and stove prototypes include a temperature sensor to help regulate air flow, thermometers require electronics and a control board which can be to be deceptively complicated and unhelpful to control combustion. Instead, static pressure can be a more reliable way to control what goes on inside the stove and what goes up the stove pipe. Ben says that temperature measurements can often be misleading when determining a stove’s combustion level and oxygen needs. When people hear about how the VcV works they think that it is very similar to a bi-metalic coil, which responds to heat, and closes down an air inlet as the stove gets hotter. Bi-metalic coils have been used for decades and a few manufacturers still use them even though they can be unpredictable during the lab certification process. Bi-metalic coils respond to heat, whereas the VcV responds to static pressure. While heat must move from the firebox to the coils, any change in combustion will automatically change the airflow, thus inciting an immediate VcV response. Therefore, Ben credits VcV technology with being far more efficient and simply better than a bi-metalic alternative. being preheated in the background. The simplicity of the VcV comes from the concept of letting the stove’s combustion determine its air flow needs at any given moment, which inherently reduces the operational errors. While the user may set the stove to a burn setting that is too low, the disc technology will not lift until the combustion, as determined by the static pressure, is at a high enough level to safely cut off the air flow. The stove will eventually go to that low setting, but not until the static pressure indicates the time is right. Therefore, consumers have the autonomy to choose the burn level they want, but the stove will only reach that level when it is able to do so cleanly. Ben also added a catalyst to the stove to ensure that it would operate well under 0.5 grams an hour and meet the 2020 EPA cordwood emission limits. Brian and Ben also recognized and addressed one inherent problem in stove installations all over the US: varying heights of chimneys. The engine of a stove is its chimney, which creates a natural draft to pull both the primary and secondary air into the stove. But homes can have chimneys anywhere from 10 to 30 feet high, which dramatically impacts combustion, and stove manufacturers have no way to address this as they build to the height of the chimney in the test lab—which is 14 to 16 feet. Brian and Ben realized that they could fit the VcV with heavier or lighter discs so that the stove could work well with any chimney height. At least one North America company has applied for licensing of the VcV technology and a stove with the VcV may also be licensed in New Zealand. Brian and Ben are no strangers to the Wood Stove Design Challenge. 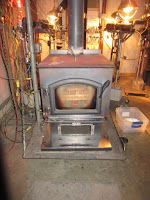 An early prototype of the stove competed in 2014. 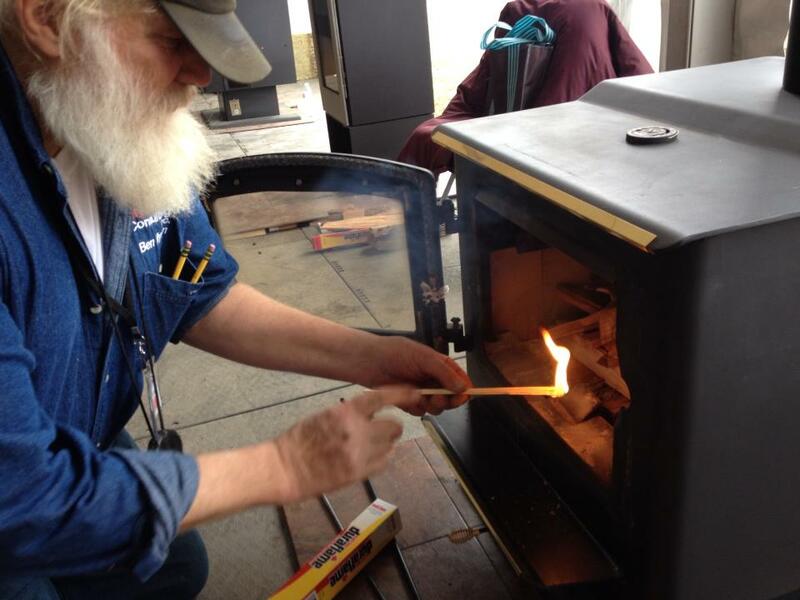 These prototypes showed great promise and led to the stove being the very first North American wood stove to be tested and certified with cordwood. Brian’s son Alister Gauld is also a part owner of the company and will be in Washington in November when the stove will be put through its paces by professional stove technicians to see whether it performs as designed. While Ben and his lab tech Eric Schaefer were just hired by Brian on a daily basis and have no financial stake in the company, they are proud of helping to develop the first non-electric automated stove in North America that can help clean up our air-sheds far better than stoves that can be left to smolder by their owners. The beauty of the VcV is that the owner doesn’t even have to know how it works inside or that it is a groundbreaking stove. From the outside it will look exactly like a traditional stove that will keep the house warm in a power outage.